SPAR UK Partner, A.F. Blakemore and Son Ltd, started 2018 on a positive note with a focus placed on its responsible retailing initiatives. 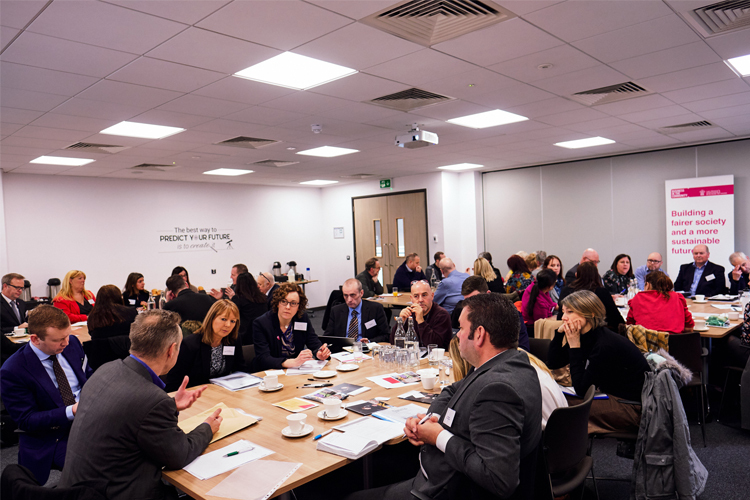 More than 30 business leaders, council heads and community organisations from across the West Midlands town of Walsall, joined together to investigate collaborative ways to address key challenges across the borough. The half-day Community Conversation was organised by the SPAR UK Partner in conjunction with local outreach charity, Business in the Community, and the Walsall Council. Only the second event of its kind to take place in the West Midlands, the session was organised to bring together businesses, the voluntary sector and public sector to discuss and identify issues impacting the community in order to share knowledge, skills and experience. A total of 55 representatives from 37 organisations attended the event. The SPAR UK Partner sponsored the event with the company’s Director of Corporate Affairs, Paul Cowley, and Community Affairs Officer, Liz Blakemore, both in attendance. 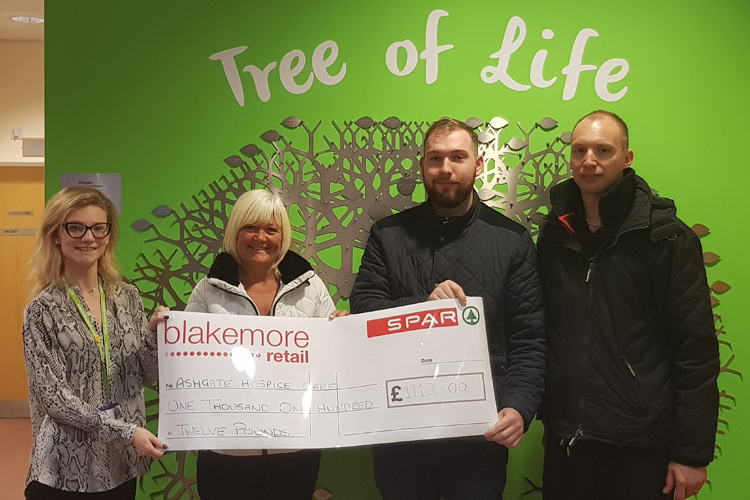 The employees of four SPAR stores in the Derbyshire area raised £1,112 for Ashgate Hospicecare, together with match funding from the Blakemore Foundation. The money was raised during a hospice fundraising week, which included instore raffles with prizes such as chocolate and wine up for grabs. Ashgate Hospicecare, based in Chesterfield, Derbyshire, provides free care and services to patients with life-limiting illnesses as well as offering support to their families. The SPAR stores’ support of the hospice dates back to 2016, when one of the store managers agreed with other stores in the area to support the local charity.